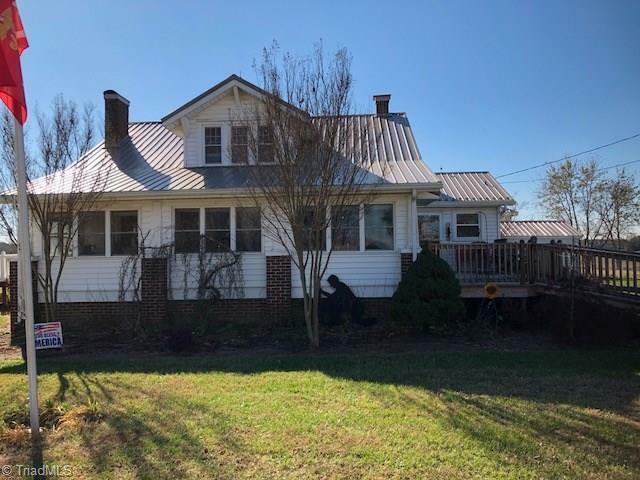 Lovely Farm House with 9.97 acres in East Bend in Scenic Yadkin County. Lovingly maintained by the current owners this farm is ready for the next owners to make it their own.Two bedrooms on main level w/ spacious kitchen/brkfst. Sunroom leading to LR & DR Beautiful land w gorgeous views of Pilot Mtn & Sauratown Mtns and views across the land. Could be ideal for horses or an agricultural entrepreneur. Nice 20 x 20 two stry oubldg with Lean two's blt on for tractor storage. 16 x 40 Otbdng w woodstove.